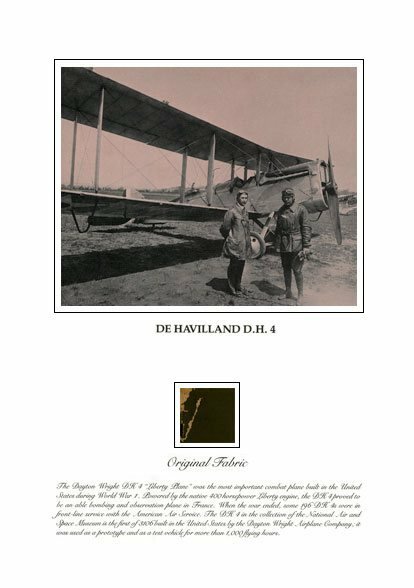 America’s first pilots took to the air in fragile aircraft made of wood, wire and fabric. 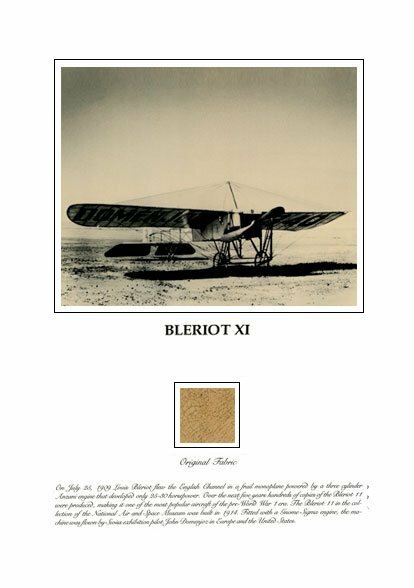 In those early days of flight, linen or muslin was used to cover the wings of aircraft. 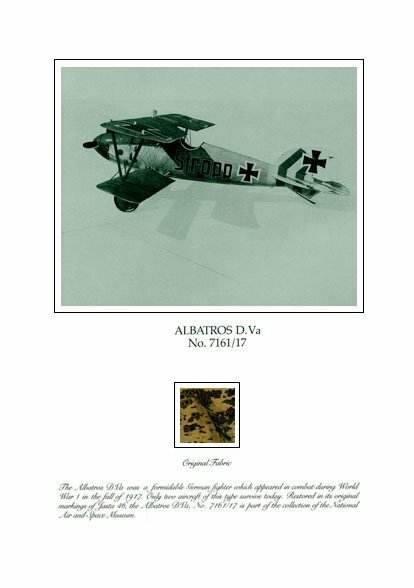 The original wing fabric from 7 famous Smithsonian aircraft is now available here. We are keeping aviation history alive by offering 4-square-inch swatches of the original fabric from aircraft now in the permanent collection of the National Air and Space Museum. The fabric was preserved during restorations by the Smithsonian and is included with each of our 7 museum-quality relic prints. Each swatch is authenticated with a certificate signed by an officer of the National Air and Space Museum. 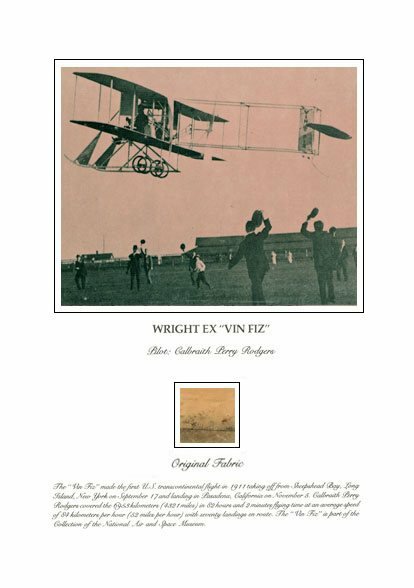 One of the 15″ x 20″ prints depicts a Wright brother’s biplane – the 1911 Wright Vin Fiz – famous as the first to fly coast-to-coast with 70 landings and 12 crashes en route from New York to California. 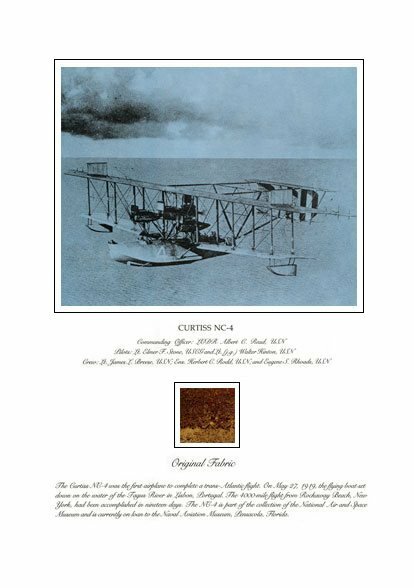 Another relic print pictures the Curtiss NC-4 – a U.S. Navy seaplane that made the first Atlantic crossing in 1919. 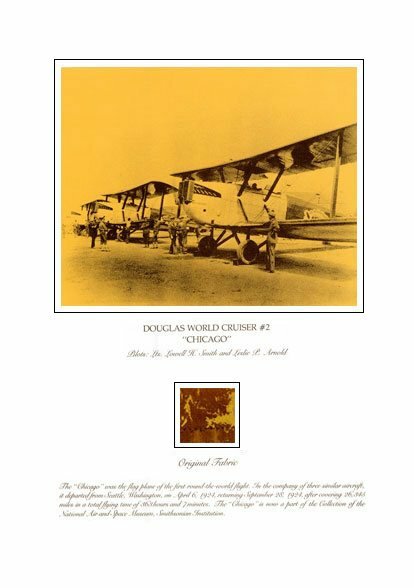 The 100th anniversary of the flight is being celebrated this year. 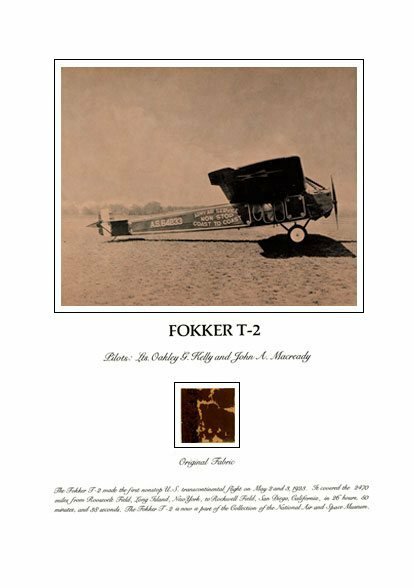 Read the amazing stories of these 7 historic “aeroplanes” and the remarkable men who flew them. We invite you to step back in time and own a piece of American aviation history – instead of looking at it from behind a velvet rope in a museum. Proceeds from this website are funding Ceiling and Visibility Unlimited –a weekend aviation camp for at-risk kids. ●Want to send a gift for a birthday or other special occasion? We will ship directly to them and include a note from you. 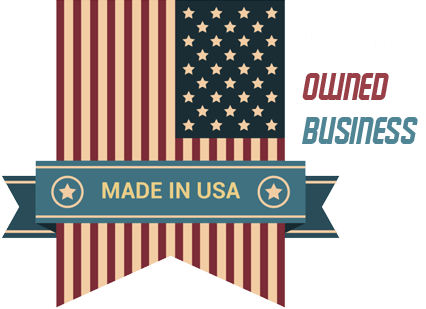 ●Free shipping to military APO and FPO addresses.